Turkish authorities used spy software developed by a German firm to infiltrate the smartphones of members of the main opposition Republican People’s Party (CHP) during a march launched by the party’s leader Kemal Kılıçdaroğlu last summer in protest of the arrest of a party deputy, according to several German media outlets. German daily newspaper Süddeutsche Zeitung and public broadcasters NDR and WDR reported the news based on a study by digital rights group Access Now. According to Access Now’s findings, Turkish officials used the program “Finspy” by Finfisher, based in Munich, to spy on members of the CHP primarily during the march, called the “March of Justice,” which lasted for three weeks. Access Now found evidence that fake Twitter accounts posted links to websites that promised to inform protesters about the demonstration if they downloaded a smartphone app. The app included Finspy software and allowed the Turkish government to gain real-time access to the smartphone owners’ contacts, photos and videos. A security expert at Germany’s University of Bochum independently analyzed the software and told Süddeutsche Zeitung, NDR and WDR that “it appeared to be a newer version” of previous Finspy software. FinFisher refused to comment on the story when contacted by Süddeutsche Zeitung, NDR and WDR. CHP Deputy Chairman and İstanbul deputy Onursal Adıgüzel described the findings of Access Now as “worrying” and said those who tried to collect data on the CHP members should be investigated. CHP leader Kılıçdaroğlu also weighed in on the discussion on Tuesday during a speech at his party’s group meeting in Parliament, arguing that if necessary they would file a lawsuit against the German government. The March of Justice from Ankara to İstanbul was initiated in protest of the arrest of CHP deputy Enis Berberoğlu, who was sentenced to 25 years in prison on June 14, 2017 for leaking information for a report on National Intelligence Organization (MİT) trucks transporting weapons to jihadists in Syria. 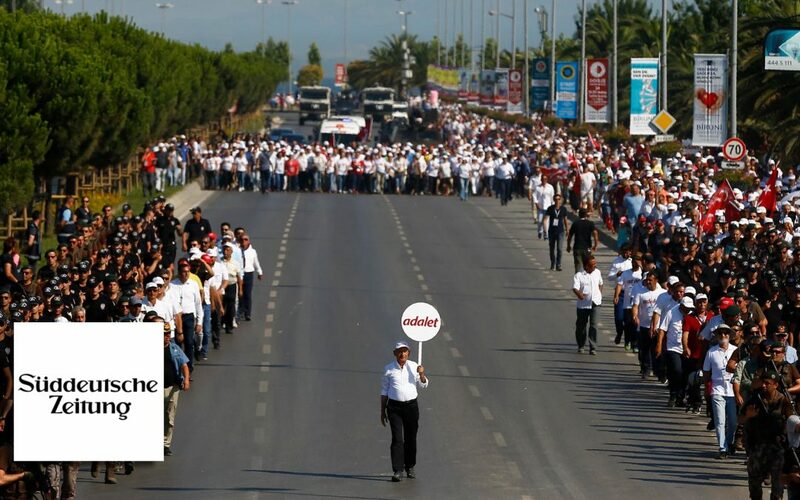 Every day, thousands of people accompanied Kılıçdaroğlu, who ended the march with a mass rally in İstanbul on July 9. The march began in Ankara on June 15. According to Deutsche Welle, Germany has strict rules for exporting spy software and has in the past vowed to block exports to authoritarian countries. In the meantime, responding to a question by the three German media outlets, the German Economy Ministry said it had not approved any export licenses for spy software since October 2014. It did not respond to a follow-up question about whether the ministry had approved any export licenses for FinFisher specifically. This article originally appeared on Turkish Minute on May 15.